Adam cantor is an exceptional acupuncturist, one of the best I have ever seen, in over 20 years of acupuncture treatments throughout 10 countries. He is true healer, professional, courteous, compassionate and really clued in to so many different modalities of treatment. He has successfully treated me for many ailments including severe and chronic headaches, (which have never returned after being plagued with them for over 6 months) As well as back and neck pain related to Cervical Stenosis. He is currently addressing the many sensory issues I am having in my hands, feet, arms, legs and back, all related to a head injury (with related spinal damage) sustained in a car accident years ago. 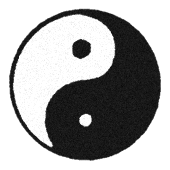 He approaches every issue holistically, recommends Nutritional guidance to support the treatments, and teaches various exercises including Qi gong and tai chi to enhance and aid in the overall healing process. He is absolutely wonderful and I credit him at least in part, to being able to delay and hopefully prevent spinal surgery. He is phenomenal and I feel so fortunate to have found him. His office in L.I. is beautiful, and conveniently located near the LIRR. Aimee D.
After struggling with extreme joint pain and insomnia for 2 1/2 years, I have had the true benefit of being treated by Adam. After consulting many doctors, with no relief, I started seeing Adam. The results I have experienced are DRAMATIC! For the first time in over 2 years, I do not feel consumed with pain, have been able to start exercising again, and have had significant improvement with sleep. I am truly fascinated by the depth of Adam's knowledge, his passion for sharing it, and his gentle and compassionate manner. I can not sing his praises enough! Jennifer H.
Under Adam's care, I am a different person!!! I have had two hand surgeries and numerous cortisone shots prior to Adam and almost always in pain. Since I began with Adam, I haven't even taken an Aleve...there has been no reason to do so. The chronic pain I experienced is becoming a memory. He is caring, patient and knowledgeable. I cannot tell you how thankful I am for him. Nancy L.
Adam Cantor's holistic approach is the best. I would give him ten stars if I could. I would highly recommend him, he has changed my life. Mary Beth B. After seeking hopeless treatments for an issue that was just not resolving, I decided to take a different approach and give acupuncture a try. Adam Cantor is truly a skilled acupuncturist who is helping me regain my health. He provides me with dietary advice, meditation techniques, and Chinese medical massages to support the treatments. With every session, he never fails to amaze me with his depth of knowledge in the field, along with the effectiveness of his treatments. After seeing results within just several sessions, Adam's holistic approach restored my faith in that my body can and will return to its natural balance! I highly recommend him! Diana I. All I can say is Adam has been a miracle worker for me. If you have any issues go see him... you will thank me for it. David G.
Wow! Adam is truly a unique practitioner, with a skill set beyond compare. I feel amazing after his sessions. My TMJ is practically cured and my anxiety is lessened. Thank you Adam! Rachel L.
I've had the pleasure of being treated by Adam Cantor numerous times. After each session, I am struck by how he effectively, carefully and compassionately addressed whatever complaints I was seeking help for, whether it was pain from athletic injuries or migraine relief. He is also very knowledgeable and easy to talk to, which really puts me at ease and helps to create a comfortable and open treatment environment. Adam utilizes an array of modalities during treatment and in addition to being a skilled acupuncturist, he is also fantastic at tui na (Chinese Medical Massage). Not only does it feel amazing, but I've found that it really helps to manage injuries and pain. He also gives very tailored and well-informed nutritional, herbal, and exercise support recommendations, which I have found to be very on-target and helpful. I have been to quite a few acupuncturists over the years and Adam stands out as a exceptionally gifted and caring practitioner. I highly recommend him! Erika F.
This was my first go 'round with acupuncture. I was truly impressed by the exceptional care Adam gave me. He has a wealth of knowledge of body systems and nutrition, and has the best bed side manner ever. I mean, he knew stuff that I'd been suffering from just by looking at the coloration of my skin tone!! I happen to be extremely sensitive to needles, but was suffering from intolerable pain in my right shoulder blade... so much so I could barely get to sleep at night. Adam was able to tap into the source of the pain and dramatically relive it. It was incredible. I also have a number of nutritional issues and he is doing an excellent job both informing me on their causes, and improving my over-all health throughout our sessions. If you had told me you could stick me full of needles and I'd feel absolutely amazing AND sleep like a baby after, I'd say your crazy. BUT IT WORKS!!! Best rest I've ever had. I really look forward to seeing him, and I highly recommend his care. Robin S.
For a few years now, I have chosen acupuncture over traditional medicine for personal reasons. I found Adam Cantor through a recommendation from a family member (I'm often up in NY to visit family and prefer to have someone I can see both in NY and MD.) and can't believe the difference between the effectiveness of his treatments and others I've had. He is one of two acupuncturist I saw when I was pregnant and his treatments for swelling and nausea took faster and lasted longer. He recently treated me for a stomach bug and had me back to new within hours! Adam is consistently professional and, as other reviews have stated, extremely informative every step of the way. He also answered my tons of questions and I never felt rushed or like I was inconveniencing him with my time-sucking , nervous curiosity. I absolutely recommend him! Elyse D.
A lot of people freak out when I tell them I get acupuncture treatments. I love it, and I'm always trying to convince people to go. I was very lucky to have found Adam through a friend. I've been to a number of different acupuncturists over the past six or seven years. Adam is by far the most thorough that I've worked with. He takes his time to speak with his patients during each session to get a full picture of what's going on and follows up on issues/symptoms during the next session. He is very gentle, and not to mention, the office provides for a nice, relaxing environment, which always helps. Adam also taught me a lot about nutrition and how it impacts health in ways I was unaware of before. In just a few short months, I've had wonderful results from weekly acupuncture sessions and have greater knowledge in how to take care of myself. Pretty nice! I highly recommend Adam for acupuncture treatments. Even for the mildly curious. Sarah P.
I've had many severe back problems for over two years, the one place I've found consistent relief is here. Every treatment I've had with Adam Cantor has been specifically designed to help treat what we discuss that day and how my body is feeling. I've never tried acupuncture before, not only am I glad I did, but I'm grateful that I did at Mind Body Medicine Acupuncture. I would highly recommend acupuncture here!! I highly recommend Adam Cantor as he took the time to customize an individual plan of treatment just for me. He tried various techniques to help relieve me from my neck and back pain. He also educated me on how the body reacts when things get out of balance. I always felt very comfortable and relaxed after a session with Adam. Heidi S.
Adam Cantor is an exceptionally talented and knowledgeable practitioner of acupuncture and mind body medicine. When you first meet with him, his intelligence, thoroughness, and professional passion instill the utmost confidence in his abilities. After a very extensive and patient discussion of my clinical history, which includes both neurological and musculoskeletal issues of longstanding duration, as well as two failed back surgeries, Adam began to explain his approach to treatment. It was at this point that I realized how much I would benefit from Adam's wholistic expertise. As he worked on me, Adam displayed great respect and concern for my comfort as well as my understanding of the principles that are central to the way he practices Mind Body Medicine Acupuncture. I was amazed at the extraordinary level of pain relief I experienced after our first session. As someone who has had many years of diverse therapeutic modalities, including other exposure to acupuncture, I wholeheartedly recommend Adam Cantor and Mind Body Medicine Acupuncture. Rella B.
Adam Cantor has treated me several times. He needled me for tendonitis in my wrist, which was successful, whereas the cortisone shot the rheumatologist gave me did nothing. I have a history of ulcers and after he treated my reflux, I was able to be off medication for any entire year. He gave me exercises to address the pain I was having in my feet. He has a calming bedside manner and a very gentle hand. I absolutely recommend him and will use his services again and again. Gail C.
I highly recommend Adam if you're thinking about acupuncture. Between the MS and 4 preschoolers I was walking around like a zombie. His treatments gave me my life back. I'm so grateful. Lisa C.